Chlupot Mózgu (from left:: B. Adamczak, Przemysław Dyakowski, G. Velisario) at Mandarynka, Sopot, 30 June 2005. Good Girl Killer - a collective founded at the beginning of 2005 by five Polish artists: Magda Jedra, Zbigniew Zibi Bienkowski, Anna Steller, Grzegorz Welizarowicz and Max Szwoch. 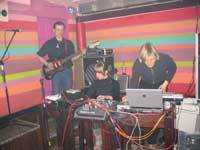 Their first project, Good Girl Killer performance, premiered in March 2005 in Poland, Gdańsk. The Good Girl Killer collective works in the fields of dance, theatre, dance workshops, music, video, multimedia. Rafał Dętkoś (Abstrakt Struktur, Solaris, Ucho). Anna Rellets and Grzegorz Welizarowicz. Computer, samples, baritone guitar, vocals. Band (1993-1998) formed by Grzegorz Nawrocki (Kobiety), Bartek Adamczak, Grzegorz Welizarowicz and Tomasz Rusin. 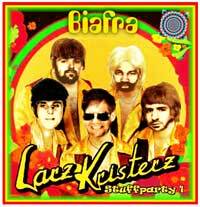 African music band formed by a Nigerian born Larry Okey Ugwu who has been living in Poland since 1982. Another band headed by Larry Okey Gwu and Jacek Staniszewski with Tomek KvaJah Szymborski on bass, Przemek Dyajakowski on sax and Filip Gałązka. 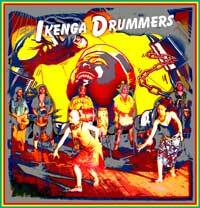 Afro-VooDoo-Rock-Reggae of the highets voltage of sheer energy. Larry mixes here his ultra singing with actors' techniques. The groove is immense. Ph.D. Jacek Staniszewski (1957), professor at the Department of Graphics and Painting, Art University of Gdańsk. Graphic & poster designer and performer. A musician of Dreadless. 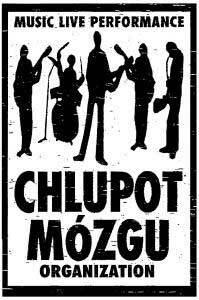 Founding member of Biafro & Chlupot Mózgu. 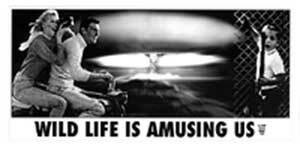 Worked for theater (Dada von Bzdulow Theater), Sfinks and Ucho clubs and many others. DJ & VJ.